The airport's billboards were censured by the Advertising Standards Authority for saying 'those around us are behind us'. This year, a battle for the hearts and minds of southeast England saw the region plastered with posters arguing that the right choice for airport expansion is ‘Gatwick, obviously,’ or that Heathrow will ‘take Britain further.’ But it seems that somebody has taken exception to the latter’s tactics. Today it got a ticking off from the Advertising Standards Authority for three adverts that implied locals supported plans for a third runway. Although 50% is obviously more than 33%, the ASA felt the ads implied a majority of locals was in support of expansion. ‘Therefore, we considered that the headline claim misleadingly exaggerated the level of support for expansion,’ the ruling said. The airport’s bosses are unlikely to be losing any sleep over the matter. The Airports Commission has already ruled in Heathrow’s favour, and the ASA isn’t exactly in a position to punish its bad behaviour. ‘The ads must not appear in their current form again,’ the body ruled. ‘We told Heathrow Airport Ltd to ensure they held sufficient evidence to substantiate their objective marketing claims in future, and to ensure their claims were adequately qualified, without contradiction.’ Not exactly the harshest reprimand ever. Nonetheless the issue of airport expansion remains contentious, and there are plenty who live on the Heathrow flight path who will be annoyed by claims they support another runway. Some have even begun to take 'direct action' against the airport and its bosses. 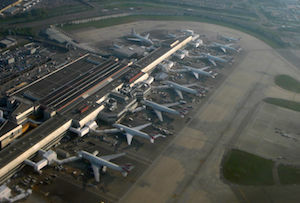 Until the government finally stops dragging its feet and makes a decision, Heathrow would be wise to toe the line.